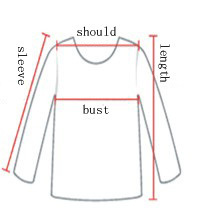 SIZE NOTE: Compare the detail sizes with yours, please allow 1-3cm differs due to manual measurement. Choose bigger than Normal. "I bought this for my son and it fit perfectly. The fabric is nice and the quality is excellent. The seller is great. The order was shipped quickly and arrive fast. I highly recommend both the seller and the product." "Cool T-shirt, the exact size. parcel arrived quickly. all the very best, thank you!!!" "I take the size but bigesst t-shirt small but is still a little to the ok. print is colorful and good quality."